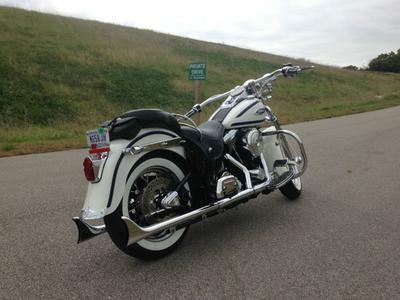 The 1997 Harley Softail Springer for Sale is a "beautifully cared for" Harley Davidson Heritage Softail Springer FLSTS that has the rust anywhere and has never been ridden if it even looks cloudy. It hasn't been left sitting outside in the sun for long periods of time so the plastic, rubber and paint is all good. I, like many of you, am very particular about my ride and don’t need to rattle on about how well I've taken care of it. 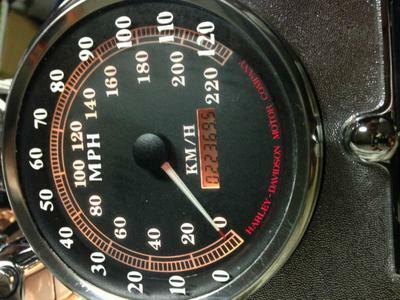 This is an adult owned Heritage with 13,900 miles that will not disappoint. Springers that are currently available and you will see just how nice this one is. You can contact me with any questions regarding the Softail's condition or features using the space below provided by GoGoCycles Used Motorcycle Classifieds and I will get back with you as soon as possible. 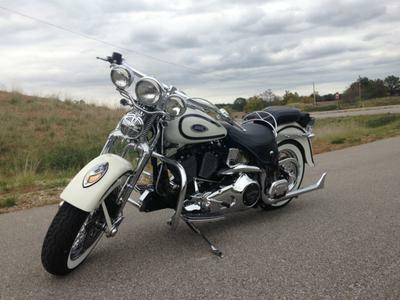 The 1997 Harley Softail Springer for Sale is in Evansville IN Indiana and if you want to buy it feel free to contact me: OsnatLetchfordksy "at" aol "dot" com. Are you still looking for a basket case Sportster? I have a 75 XLH and everything is there I think except for the upper brake cable (I changed it over to dual front disc) and the horn. not sure if it runs, hasn't been ran in a few years. Will probably need the carb cleaned and a new battery.I have extra used parts (wheels,front ends,fender,neck bearings,etc) and many brand new parts, shocks,chain,gasket,plugs,fuel hose,bleeder,and too much to list). Will throw in repair manual,bike jack,cover,and helmet. call 740-685-2039 anytime. Poor and looking for a full basket case sportster or soft tail. Can pay $ 2,000 if its all there and needs assembled. Would like to have a running motor. Live in WV will travel if close to pick up. Call 304-972-9883.